DENVER (AP) — The Los Angeles Dodgers are sending right-handers Kenta Maeda and Ross Stripling to the bullpen to make room for two starters about to return from the disabled list. Left-hander Alex Wood is scheduled to come off the disabled list and pitch Tuesday against San Francisco. He went on the DL on Aug. 4 with adductor tendinitis. 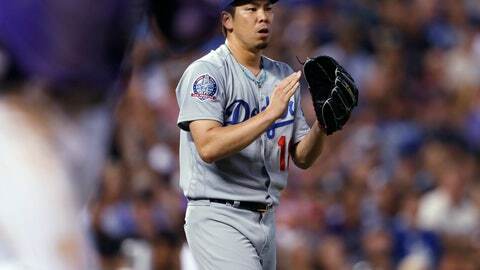 Lefty Hyun-Jin Ryu is healed from a strained groin that has sidelined him since early May. Ryu is expected to be activated and start on Wednesday. The Dodgers are using a closer-by-committee approach in the bullpen with Kenley Jansen sidelined because of an irregular heartbeat.